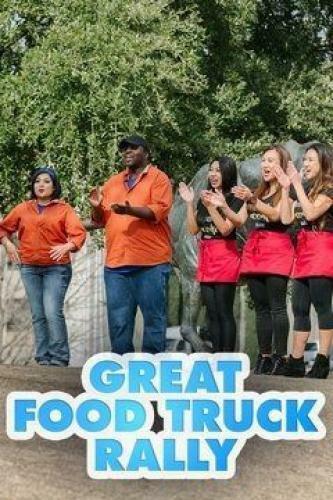 When will be Great Food Truck Rally next episode air date? Is Great Food Truck Rally renewed or cancelled? Where to countdown Great Food Truck Rally air dates? Is Great Food Truck Rally worth watching? In the Great Food Truck Rally, host Sabin Lomac puts three teams of aspiring food truck owners from the Dallas/Ft. Worth area of Texas through the ultimate food truck crash course. After a wild weekend of cooking and competition, one local team walks away with the grand prize: their very own food truck business. Host Sabin Lomac puts three teams of aspiring food truck owners from the Dallas/Ft. Worth area of Texas through the ultimate food truck crash course. After a wild weekend of cooking and competition, one local team walks away with the grand prize: their very own food truck business. Great Food Truck Rally next episode air date provides TVMaze for you. EpisoDate.com is your TV show guide to Countdown Great Food Truck Rally Episode Air Dates and to stay in touch with Great Food Truck Rally next episode Air Date and your others favorite TV Shows. Add the shows you like to a "Watchlist" and let the site take it from there.